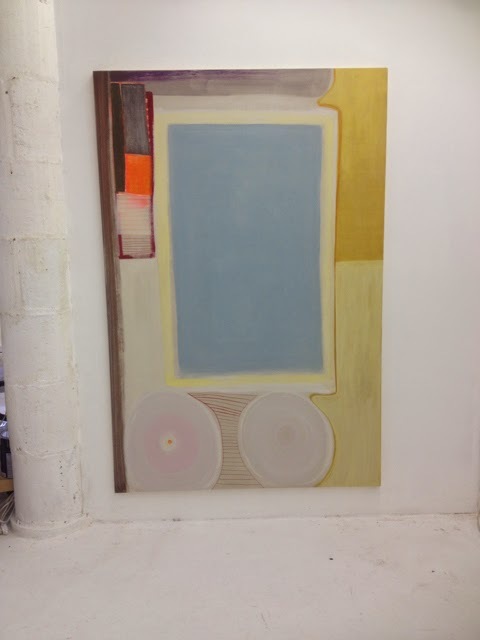 In my search for a summer studio sublet, I recently discovered Theresa Hackett’s superb abstractions. Full of delicate color combinations and seductive textural contrasts, Hackett’s paintings reference landscape, architecture, textiles and the modernist grid, which she breaks down and idiosyncratically reconstitutes in odd, refreshing, ways. Her paintings present a kind of ordered and winsome chaos, somehow conveying that everything is going to be fine. 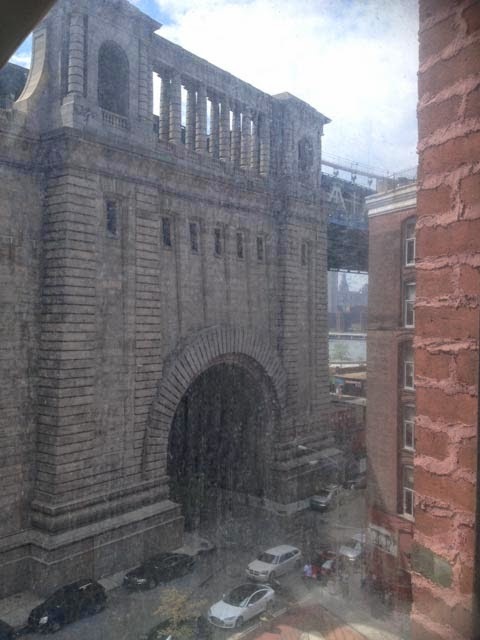 The studio features a fantastic geometric view of the East River. 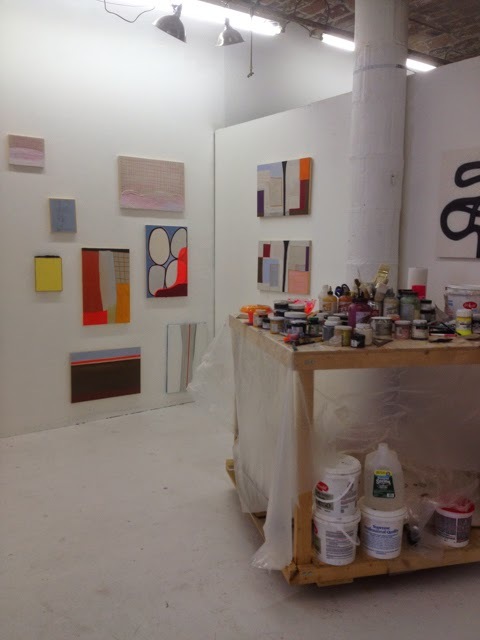 While Hackett is working for the next few months in the Pennsylvania countryside, I’ll be in residence at her studio, which means that Two Coats of Paint will be participating in the Dumbo Arts Festival in September. Stay tuned for details. NOTE: California readers can check out Hackett’s work in an upcoming show at the Art, Design & Architecture Museum at the University of California Santa Barbara.